Why this event is so important nowadays? Because it was second Constitution on the world (U.S. Constitution was the first one) and first Constitution in the Europe. The Constitution of May 3 was adopted by the Great Sejm (parliament) of the Polish–Lithuanian Commonwealth, monarchy existing in the Europe between 1569 and 1792. The constitution’s adoption met with hostile political and military responses from the Commonwealth’s neighbors. In the War in Defense of the Constitution, the Prussia broke its alliance with the Commonwealth, which was defeated by Imperial Russia that was allied with the Targowica Confederation of anti-reform Polish magnates and landless nobilities. The King Stanisław August Poniatowski, a principal co-author, eventually capitulated to the Confederates. The 1791 document remained in force for less than 19 months; it was annulled by the Grodno Sejm on November 23, 1793. 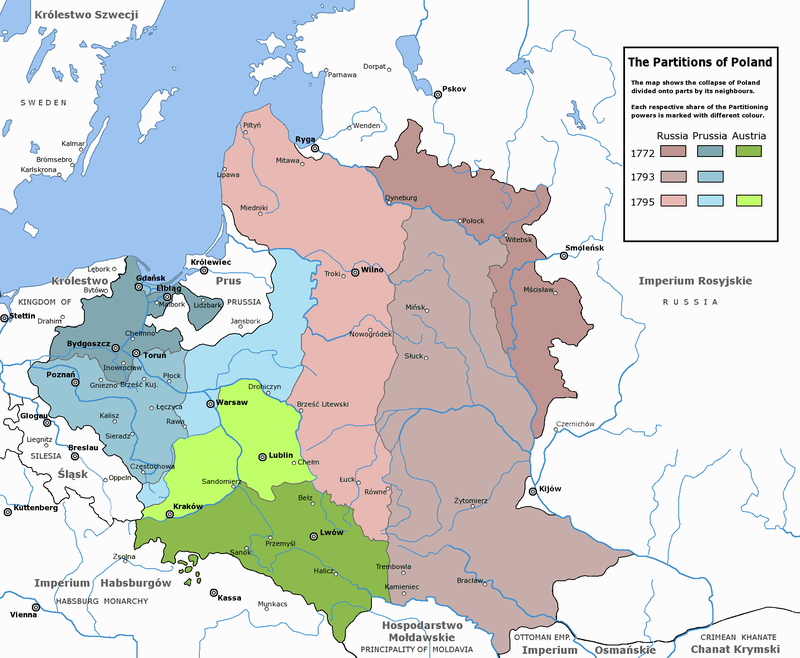 By 1795, the Second and the Third Partitions of Poland ended the existence of the sovereign Polish state. 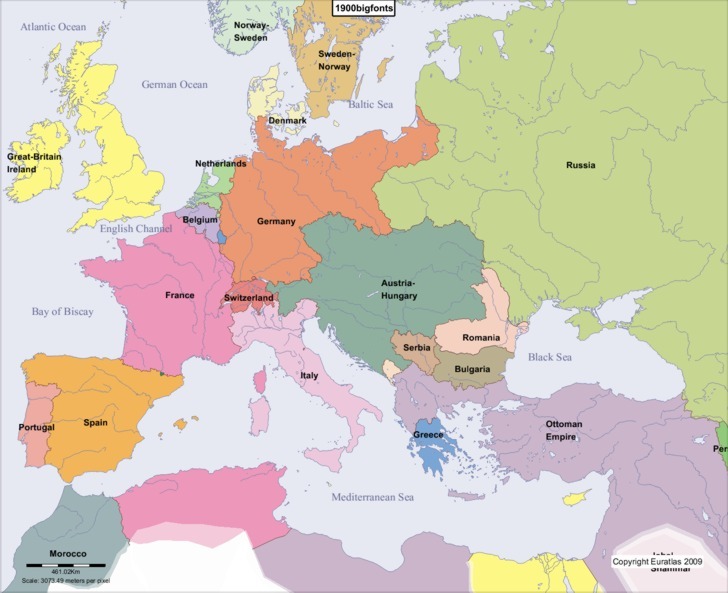 By the next 123 years Poland was not present on the Europe’s map. Over these years, the Constitution of May 3, 1791 was seen as proof of successful internal reform and as a symbol promising the eventual restoration of Poland’s sovereignty. In the words of two of its co-authors, Ignacy Potocki and Hugo Kołłątaj, it was “the last will and testament of the expiring Country“. After over 2 hundred of years after adopting the Constitution of May 3 we still see that Poland is divided by the two camps: people who want to restore Great Poland and these who want to live as they live – to keep their power and not allow Poland to be more than it is in present time or even make it weaker. Polish people still can do great things and achieve much. We are very smart, hard-working and industrious nation. In my humble opinion – we are in the front of next golden age in Poland. We are developing fast over last 25 years. Two days ago we were celebrating 10 years of Polish presence in the European Union. Present times in the Poland could be compared to the ages between 1918 and 1939. Polish great times in XXI century have not started yet, but we will get there if we will be moving in the direction we chose 25 years ago and keep this way. And I hope there will be not the World War III, which could stop our development and kill the best people in the nation and force Polish people to rebuild their country over again. The conflict between Ukraine and Russian Federation is dangerous and I hope it ends as soon as it started. But maybe it will stop only when Russia will took the Eastern part of the Ukraine, where live the people, who want to their region were joined into the Russian Federation and don’t like current government of the Ukraine. At the end of this article I would like to mention about a Great Polish President: Lech Kaczyński, who died in the plane crash while approaching Smolensk Air Base in Russia 10th April 2010. 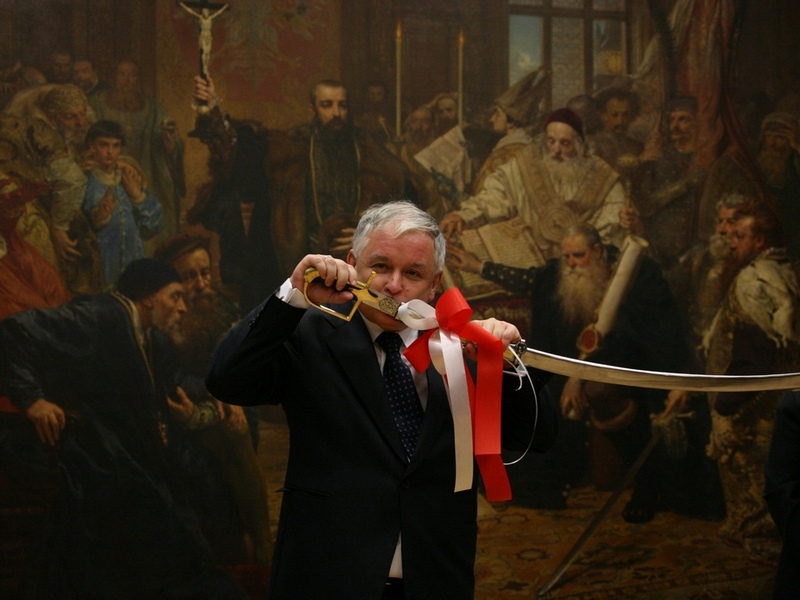 The 3rd May was always very important to Lech Kaczyński. It was not only the day of big celebrations related to Polish Constitution of May 3rd 1791, but also good opportunity to honour these, who were fighting and fight for the freedom and the honour of Poland.